I've just finished a long video (almost 15 minutes) on the scratchbuilding of the well scenery in my Tunisian diorama. The entire thing is scratchbuilt, and I'm tremendously happy with the final result. Almost all materials were sourced on te streets and parks of my neighbourhood, so it is cheap as chips. I hope it gives you some idea of the thought process and troubleshooting process involved in making your own diorama scenery. 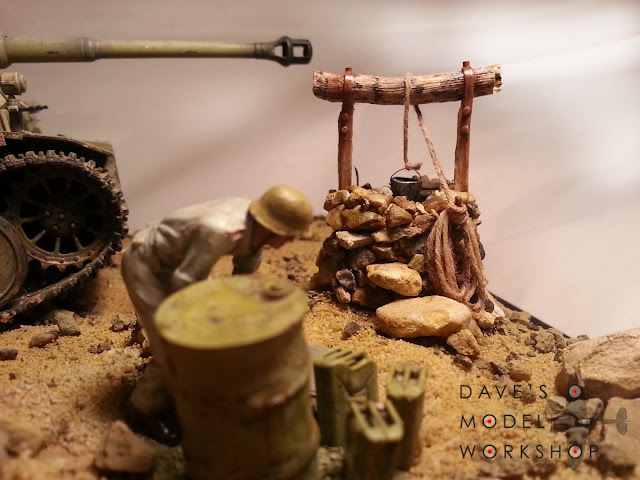 Video tutorial: how to scratchbuild a water well in your model diorama.